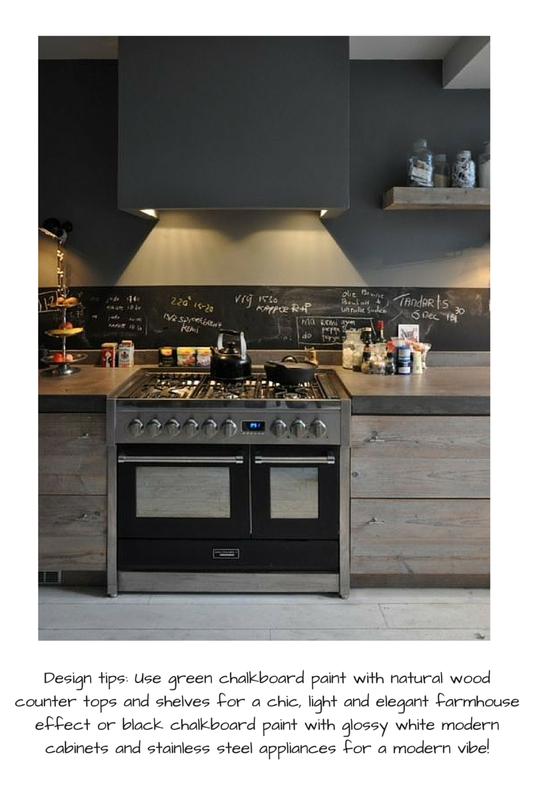 La Maison Jolie: Sensational Splashback Ideas For Your Dream Kitchen! Sensational Splashback Ideas For Your Dream Kitchen! We've all heard that a million times! And it's so true... a kitchen is the heart of the home, the social hub, the congregational nucleus, the command centre of the house! In short, whether large or small, the truth of the matter is well designed kitchens sell homes! And it’s always a good idea to invest a little bit of money in the kitchen to update it since it increases the overall value of your home and is a great return on investment. One of the major features in the kitchen is the splashback. The splashback is at eye level and usually takes up a large chunk of the kitchen space and therefore attracts a lot of attention. An attractive and unique splashback definitely complements your overall kitchen design. There are so many options for splashbacks nowadays, it's truly mind-boggling! There is a vast array of materials to choose from to create an unique splashback that will be aesthetic, different and complementary. So here are our top picks for the most popular and unique splashbacks to create the kitchen of your DREAMS! Tiles are easy, safe and a very popular choice for a kitchen splashback. Simple white subway tiles are extremely popular but there's nothing simple about them. 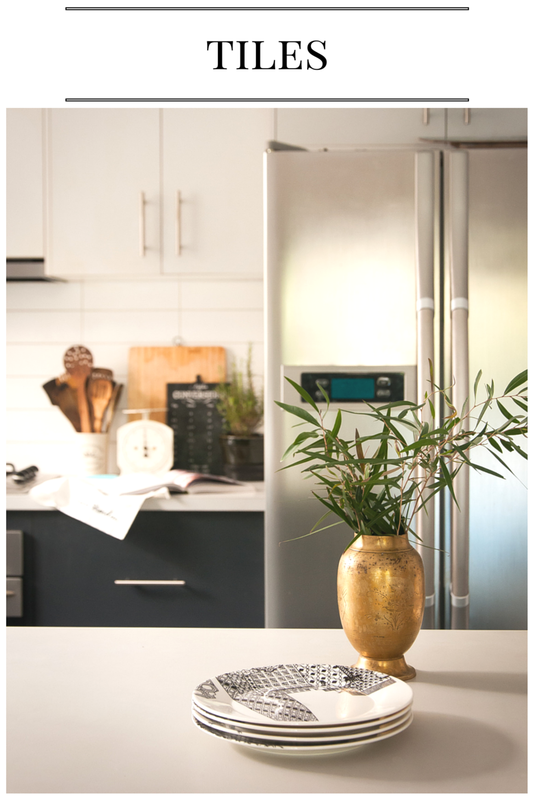 In the right space they have the potential to make a kitchen go from drab to fab in an instant! 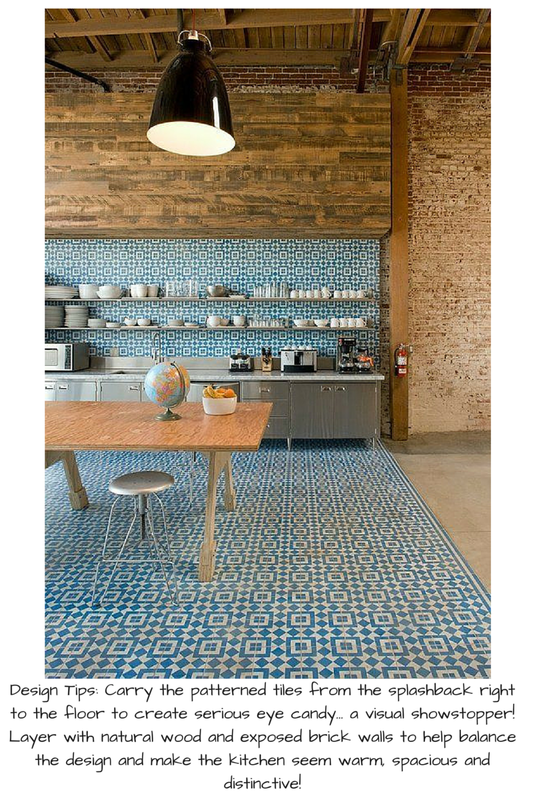 More tiles...patterned tiles are making a major comeback. You could easily create a beautiful, bold, bohemian kitchen with a patterned tiled splashback. Classy Steampunk - a splashback of gorgeous stainless metal mosaic tiles along with a contrasting matte black counter top gives this kitchen a classy but edgy vibe. Throw in a mix of aged cage lights, exposed pipes, reclaimed wood open shelves, black tapware offset by white cabinets and you've got the makings of a classy urban steampunk kitchen that is unique and sensational! 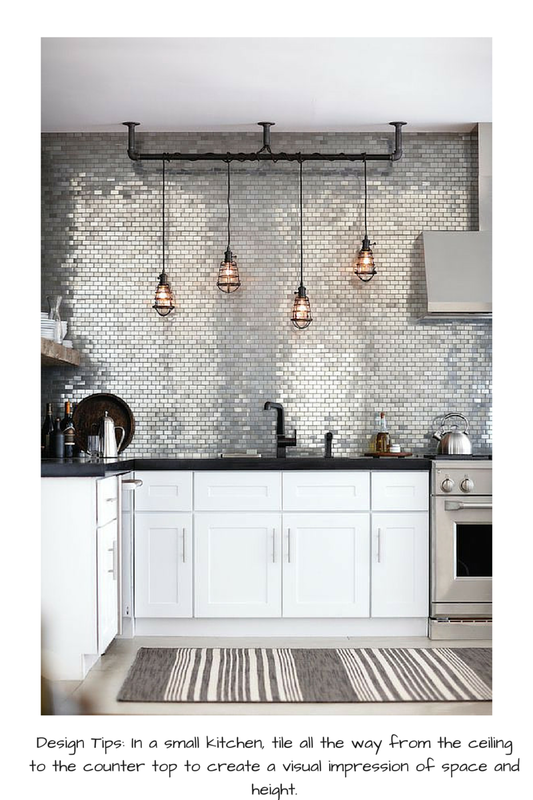 If you like these stainless steel tiles, Alloy has some gorgeous stainless steel tile options. 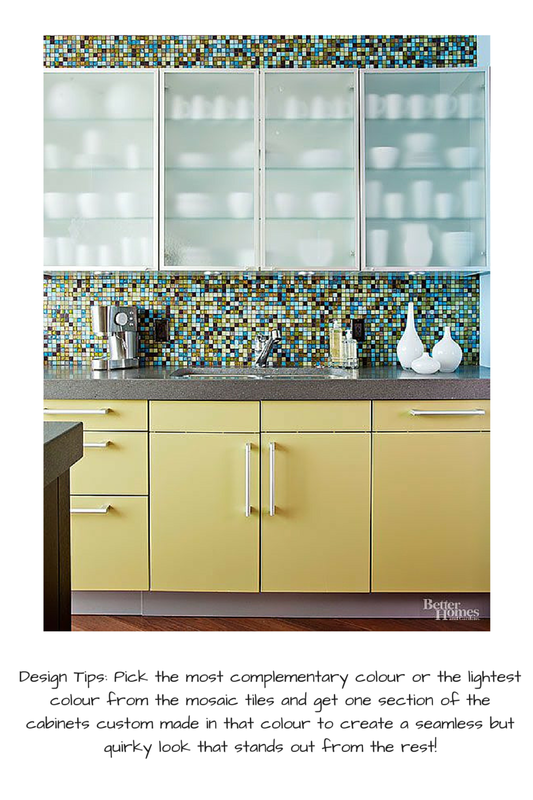 Create a playful retro vibe in your kitchen with some colour in the form of mosaic tiles for the splashback. Complement it with some brushed steel appliances and frosted glass cabinets. Keep it light, airy and playful! 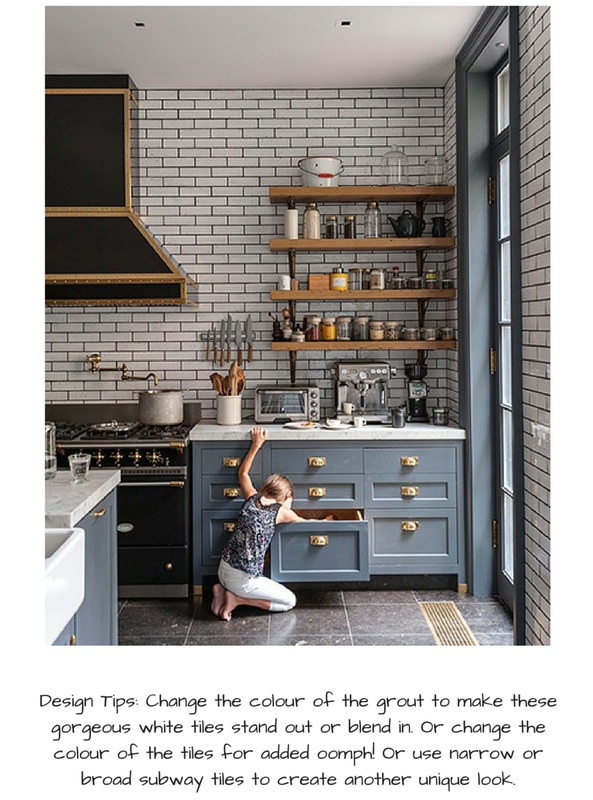 If you are having trouble deciding between the ever popular white subway tiles or colourful mosaic or patterned tiles or are uncertain about the colour palette, Beaumont Tiles has a fun quiz called "What Style Am I" that you could complete to get a few recommendations! 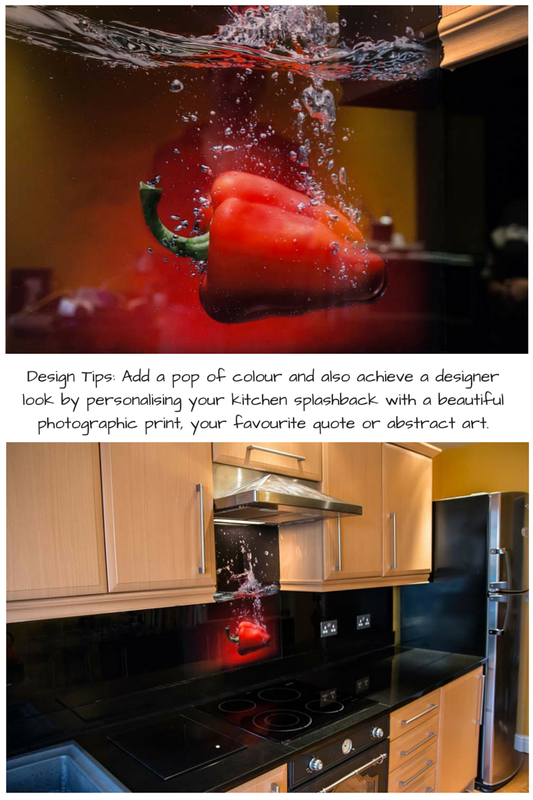 Custom Printed Glass Splashbacks - Yes, that's right! But it kind of makes sense! If you're renovating or designing a kitchen from scratch i.e. customising cabinets, flooring, lighting, then why not completely personalise your space with a custom glass printed splashback? 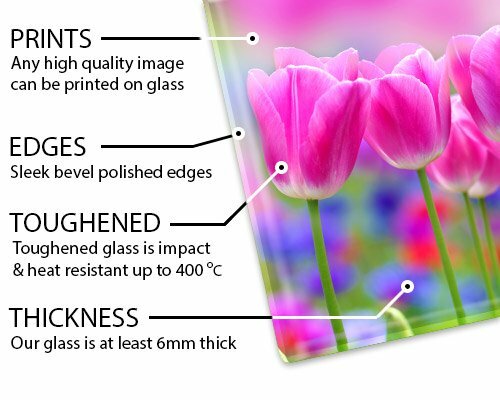 Images are printed directly onto the back of a 6mm toughened glass panel. These splashbacks are extremely versatile, hygienic and easy to clean. 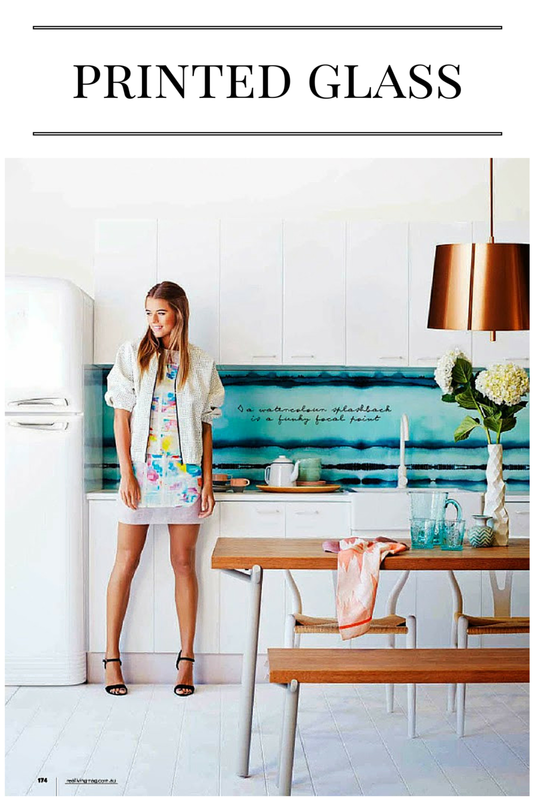 Glass has a seamless surface, no grouting and you can really customise your splashback to match the style of the kitchen - coastal/beachy like the above image, modern or contemporary. 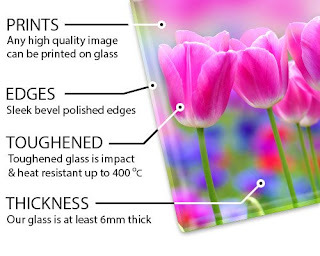 CreoGlass in the UK creates gorgeous custom made glass splashbacks from hi resolution photos. Just submit your own hi-resolution image for a very personal finish. You super lucky UK people! 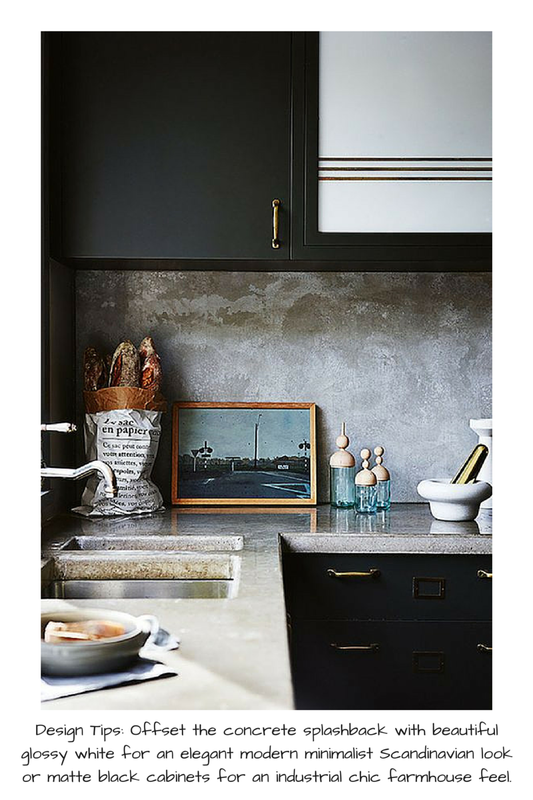 Concrete splashbacks give a kitchen an edgy, raw, industrial vibe. If you like a minimalist design approach, this is it! Affordable, unique and low maintenance, concrete is fast becoming a very popular option. If like me you've ever watched back to back episodes of The Block or Fixer Upper, then you would have noticed that every house has at least one exposed brick wall in it. No surprises there since it is one of the latest trends in interior design! And it works very well as a kitchen splashback. 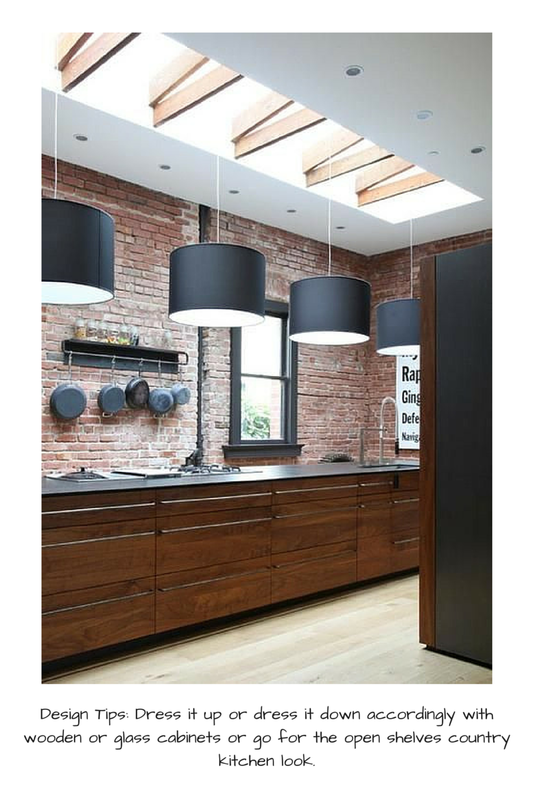 It's economical, durable and low-maintenance and adds a textural and architectural element to the kitchen design. 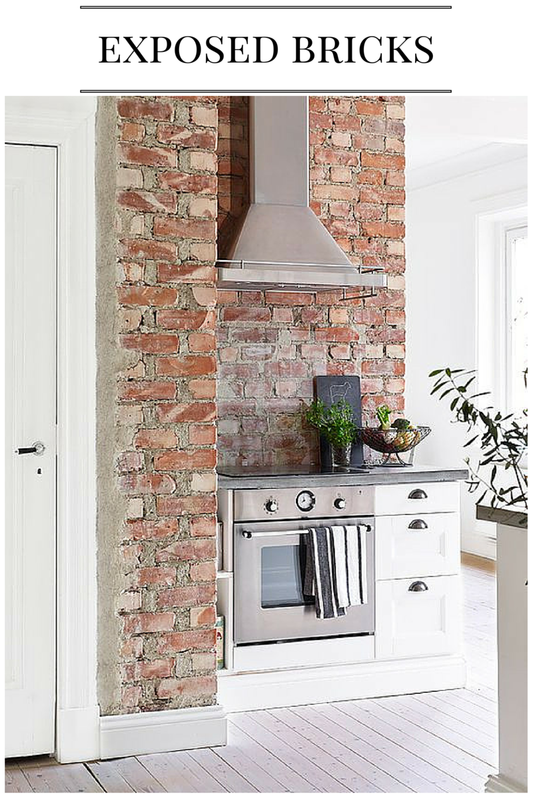 Brick walls blend well with traditional, bohemian, eclectic, industrial, mid-century modern, country or modern contemporary kitchens and creates an inviting atmosphere. Marble oozes style, elegance and luxury. It adds instant glamour to a kitchen. It is expensive, however, everyone I know loves a little marble! You could opt for a look alike marble vinyl backing or quartz, but nothing beats the real stuff! 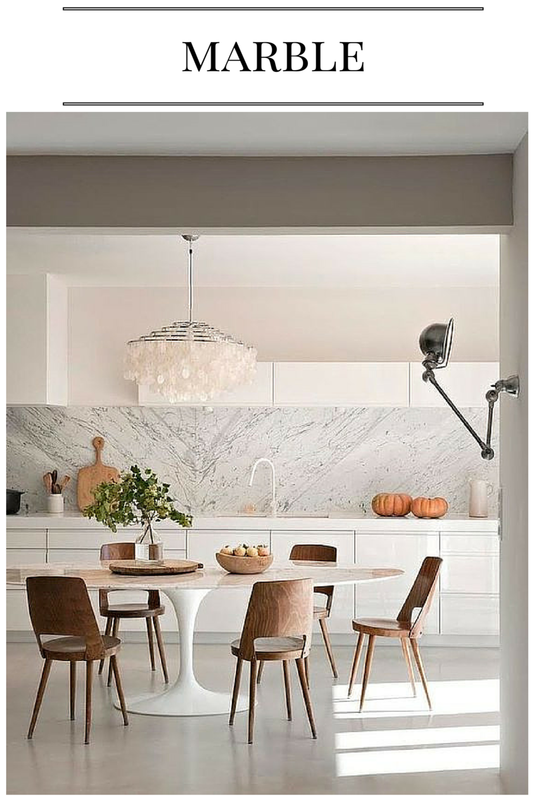 One large slab of seamless marble does look fantastic, however, small marble hexagonal tiles or marble subway tiles in a herringbone pattern is easier on the pocket and achieve a similar look. 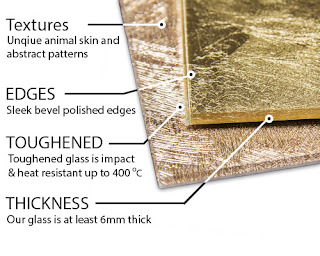 Golden Glass is a new and quite a unique design element. Developed in Italy by a designer glass brand, this collection is sold and installed by CreoGlass in UK. It is stunning and luxurious! You can choose from various textures such as animal skins and abstract patterns, which look beautiful and have a flat smooth glass finish. 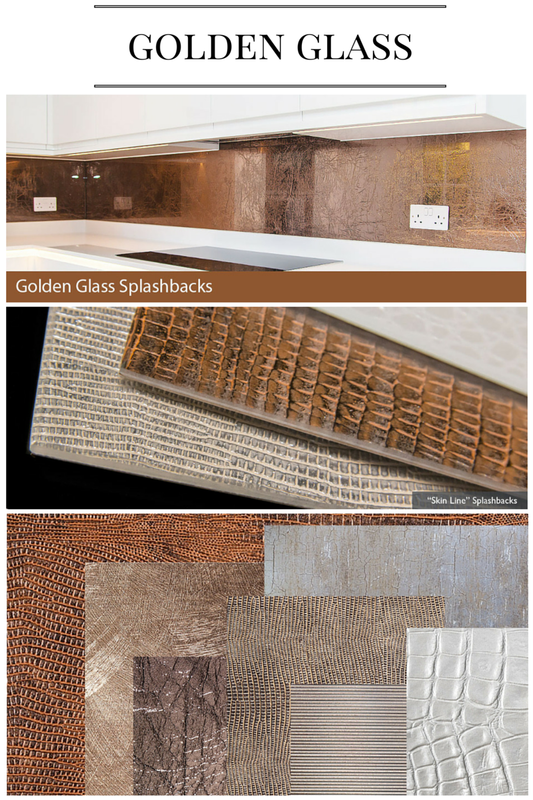 This designer glass splashback collection combines a lustrous shimmer, drawing inspiration from nature, with the toughness and resilience required from a splashback product. If you’re looking for a design feature that creates drama, is elegant and evokes a sense of sensuality, the Golden Glass collection is ideal. Check out CreoGlass for more details on the Golden Glass collection. Brass is IN, everything else is OUT! Just kidding! 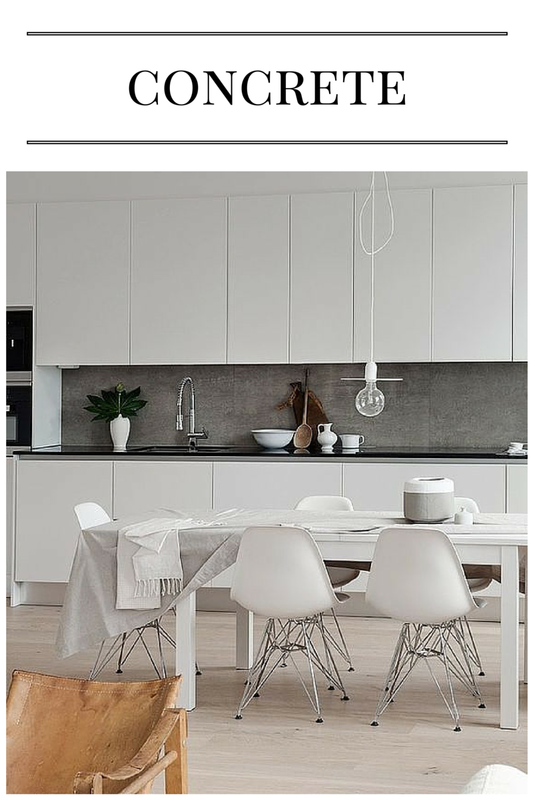 But looking at this beautiful kitchen, it almost seems so! 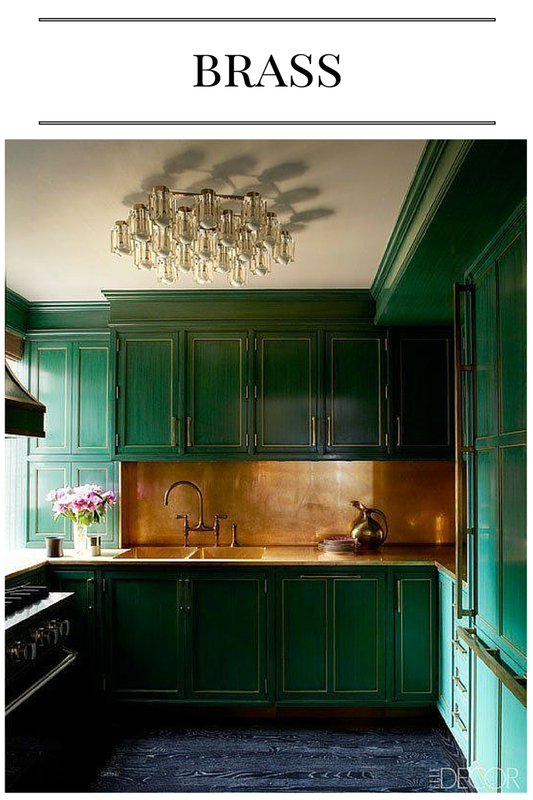 Emerald green cabinets with a burnished brass splashback, matching countertops and tapware should look totally OTT...but it doesn't! Instead it looks opulent, sophisticated, shimmery and so pretty! 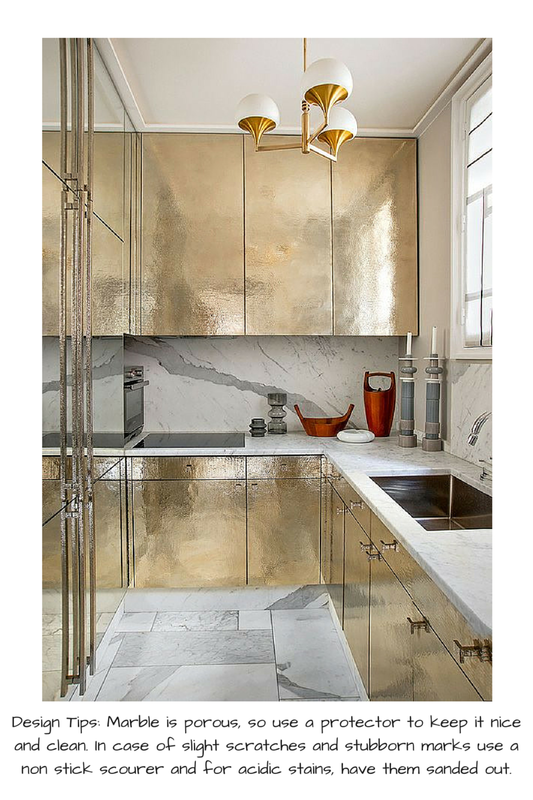 This is definitely one kitchen where being bold and fearless with the cabinet colour and brass splashback has paid off in spades! 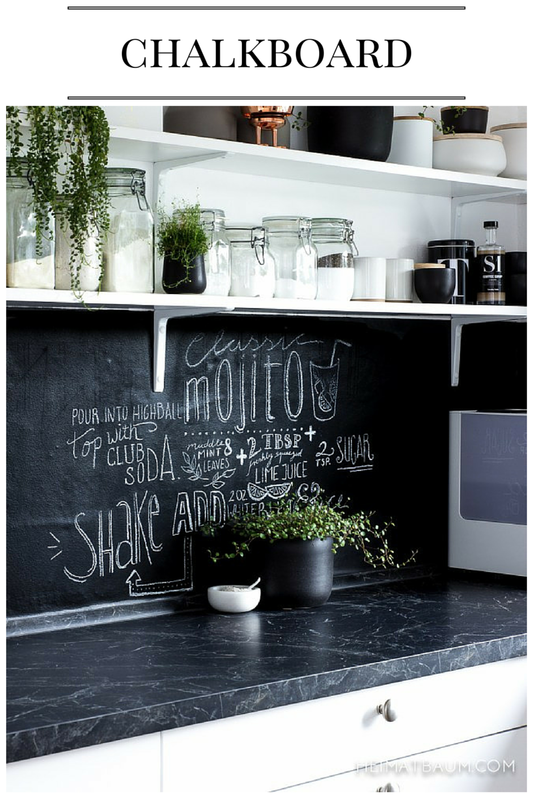 Chalkboard splashbacks are so bespoke and versatile! It's affordable, a quick fix for an old kitchen and an easy DIY project. All you need is a foam roller, some painter's tape, a tin or two of chalkboard paint and a glass of wine and you could easily knock it out in one afternoon! Who would have thought plywood would make such an amazing splashback? 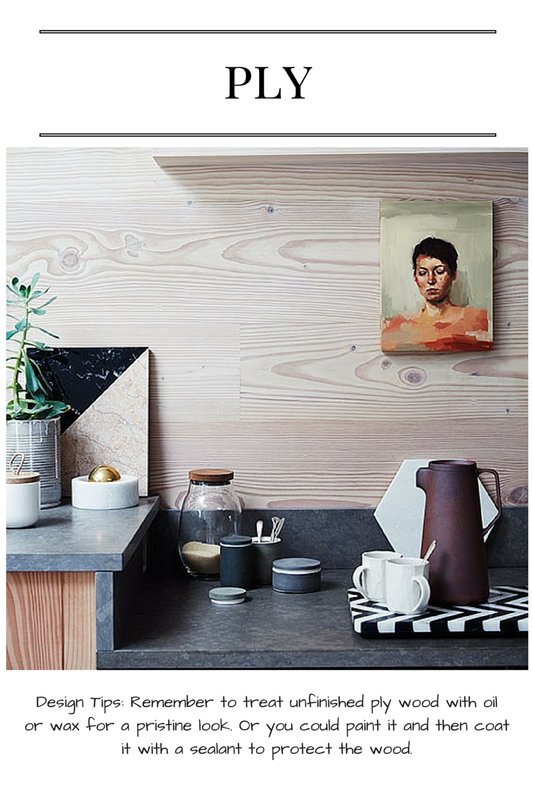 Stain it, paint it or keep it natural; ply looks modern and bespoke. It's affordable, easily available and easy to DIY! Well, there you have it... our top picks for sensational kitchen splashbacks to achieve your dream kitchen! Be resourceful, smart, imaginative and think outside the box! Food for thought? 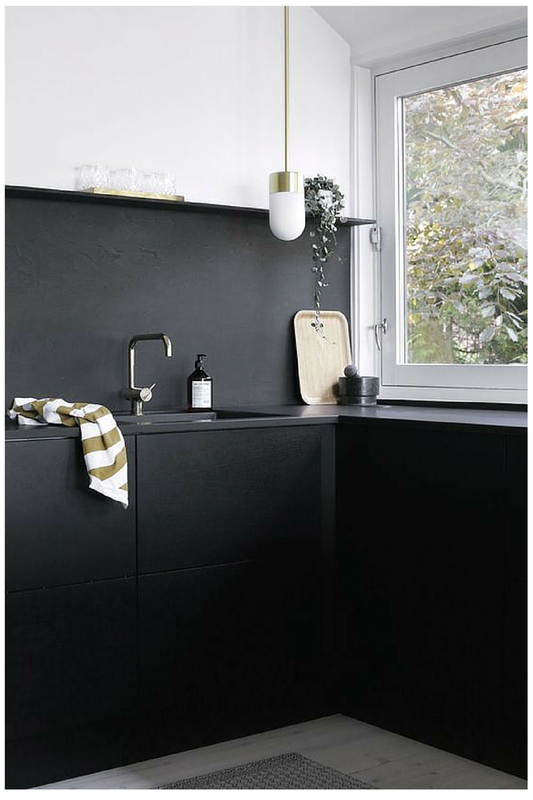 Which one is your favourite splashback or do you have an unique idea in mind? Share with us, we'd love to know! This post is sponsored by CreoGlass, however the thoughts & opinions expressed in the above post are all mine.